Happy First Anniversary Pride Promotions! Thanks, Will, for letting me come to your year-long party. It’s been a blast,and i’m looking forward to more of the same in 2015. 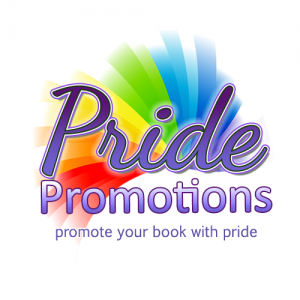 To thank all the lovely authors, readers, and bloggers who’ve made it possible, the folks at Pride Promo are raffling off a $50 Gift Certificate to All Romance eBooks! 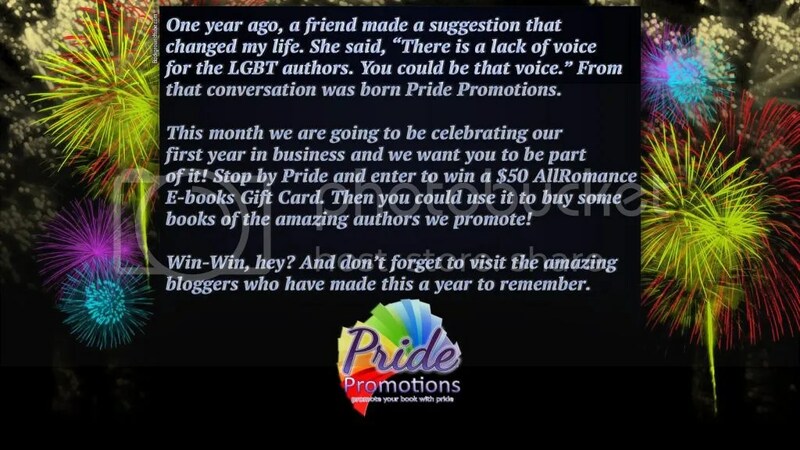 This entry was posted in Uncategorized and tagged Pride Promotions by Charley Descoteaux. Bookmark the permalink.